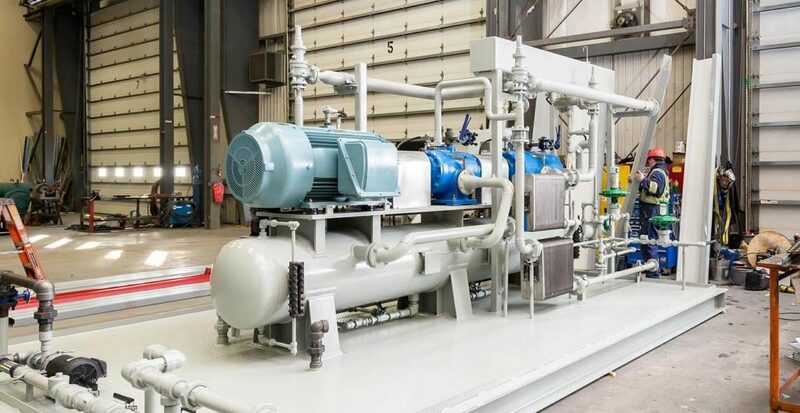 NEXT Compression – then operating under the legacy title, SAGE Energy – was retained to design and fabricate a 2 stage rotary vane compressor package for ARC Resources vapor recovery application. We employed a single external horizontal scrubber, with a partition allowing it to act as two separate pressure vessels internally. This made for a clean, compact design that we were extremely pleased with.